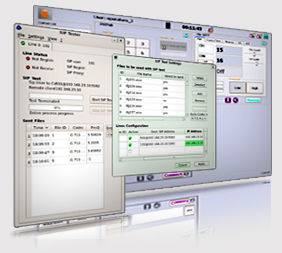 VDK is the complete toolkit to easily develop multimedia VoIP applications for the Internet. VoIP is an established technology that has, at various degrees, pervaded the telecommunication world. VoIP networks are becoming more and more common and are now ready to offer advanced services to achieve real Multimedia Over IP scenarios. Unfortunately the current situation cannot be fully exploited due to a lack of real VoIP applications: there is just a plethora of soft-phones. VoIP Development Kit (VDK) aims to ease and speed-up the development of any VoIP application by giving to programmers a clean, simple and yet powerful and complete API to our VoIP engine; programmers now can concentrate on the features and usability of their applications without worrying about the technical and more in-depth aspects of a VoIP-based application. Being able to be run over the most common Operating Systems (Windows, Linux and MacOsX) it will ease the distribution of VoIP-based application to a vast number of users and to add VoIP capabilities to existing software. VDK main interface is for the C++ programming language but there is an external module to use it with Microsoft .Net Framework and Java. Call us through your browser! VDK 2.0 TP is here! We’re very proud to announce the first technical preview of upcoming VDK 2.0. VDK is now an official Qt Ambassador! We’re very proud to announce that starting today VDK is now an official Qt Ambassador! In occasion of our participation to CeBit 2009 in Hannover, we officially presented (see the presentation link below) the Voip Development Kit (VDK) and its unique features and ease of use. The interest people showed was far beyond our expectations. You can download the pdf of the presentation .